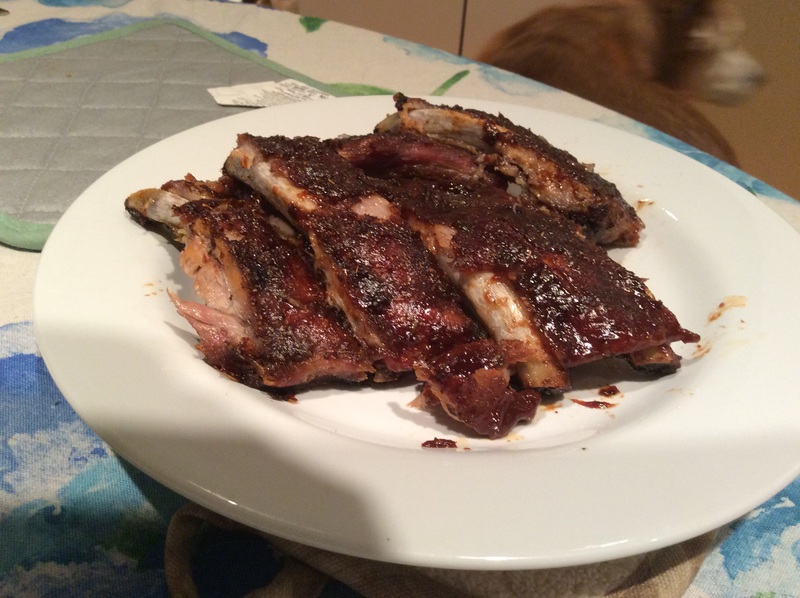 Years and years ago I asked Husband’s Aunt for her recipe for ribs. She made them for us once and they were so so delicious! Just a bit spicy, a bit sweet, full of flavor and they couldn’t be easier to make. I made them to eat while we watched the Super Bowl. The game and the advertisements were totally underwhelming. 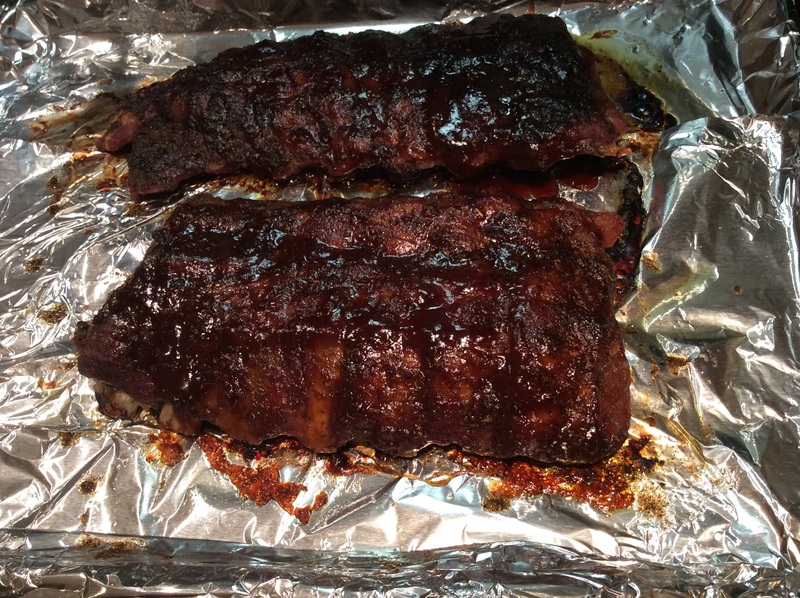 The ribs were not! You could probably use spare ribs with this but I prefer baby backs. Remove the membrane from the bony underside of the rack. I find it easy to start with a paring knife then just separate it with my hands. Starting with the chili powder and ending with the oregano mix the ingredients together and set aside. Brush or rub the oil onto both sides of the ribs. Rub the spices and herb mix onto both sides of the ribs. Cook on the prepared baking sheet, meaty side up, until very tender for about 2 hours and 30 minutes then brush all over with your favorite bbq sauce. Cook for another 10 minutes. 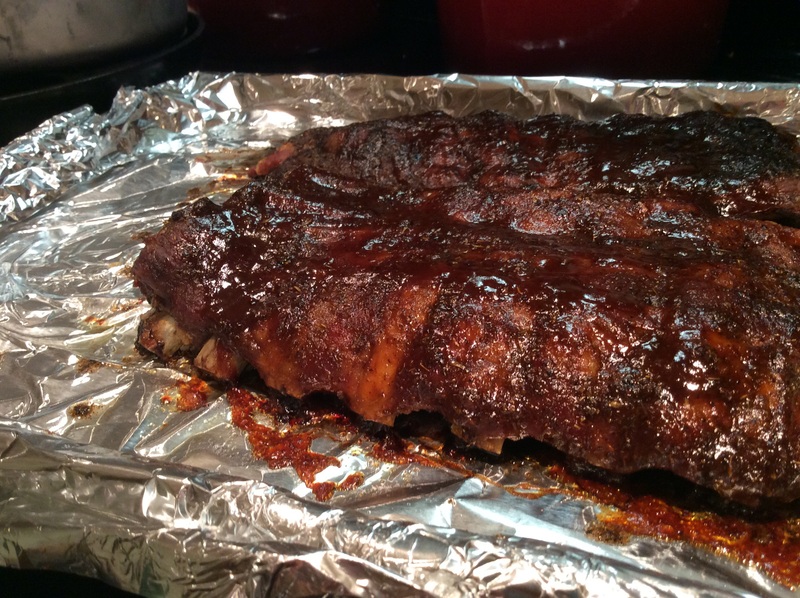 Remove from the oven and cut between the ribs and serve with extra bbq sauce. 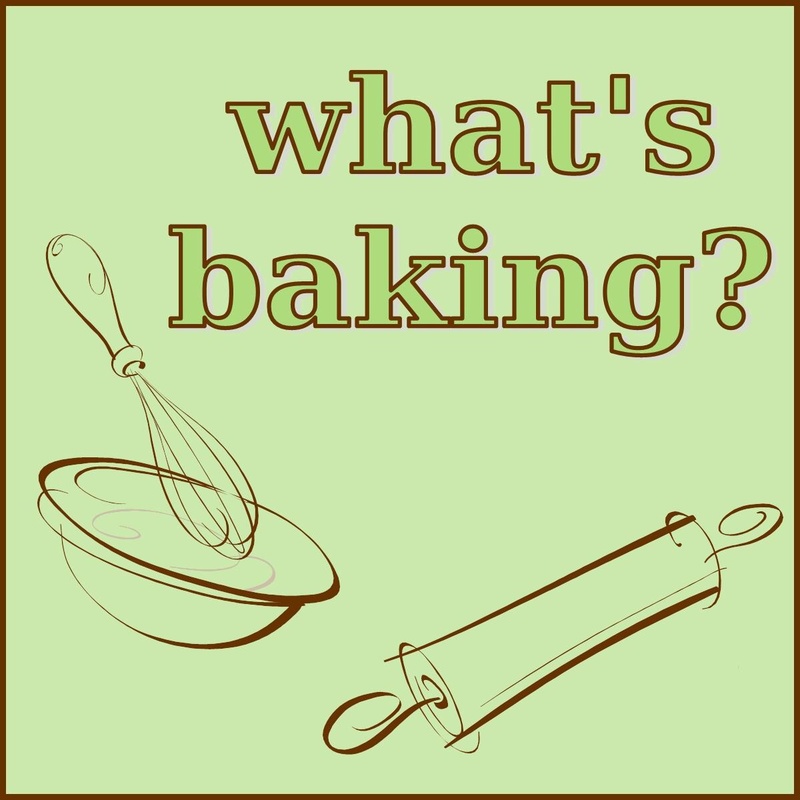 The February ‘What’s Baking’ theme is bread! I’m so glad-it’s something that I’ve really struggled with over the years. Since I gave my bread machine away I’ve been really concentrating on my technique rather than relying on a machine. I’ve been able to bake it pretty successfully and am gaining confidence each time it comes out of the oven warm, yummy and smelling divine. 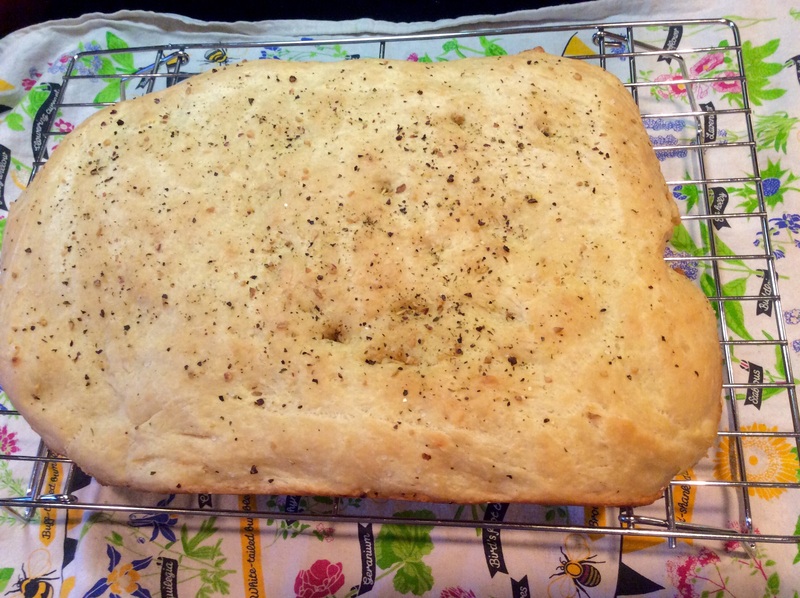 This focaccia is really tasty. It’s light, full of beautiful holes and the flavor is really lovely. I cut some slices half-wise horizontally and made panini, I toasted and put jam for breakfast (Trader Joe’s reduced sugar strawberry is delicious on it) and ate it with just a slice of cheddar cheese and granny smith apple. Either way-it’s a winner. Lightly grease a 9×13 pan and drizzle the 2 tbsp olive oil into it and swirl to coat. Set aside. Combine all ingredients and beat on high using an electric mixer for 60 seconds. Scoop the batter (it’s sticky) into the pan, cover with a damp tea towel and let it rise in a warm area at room temperature for an hour until it becomes puffy. When the dough is almost risen for the hour preheat the oven to 375. 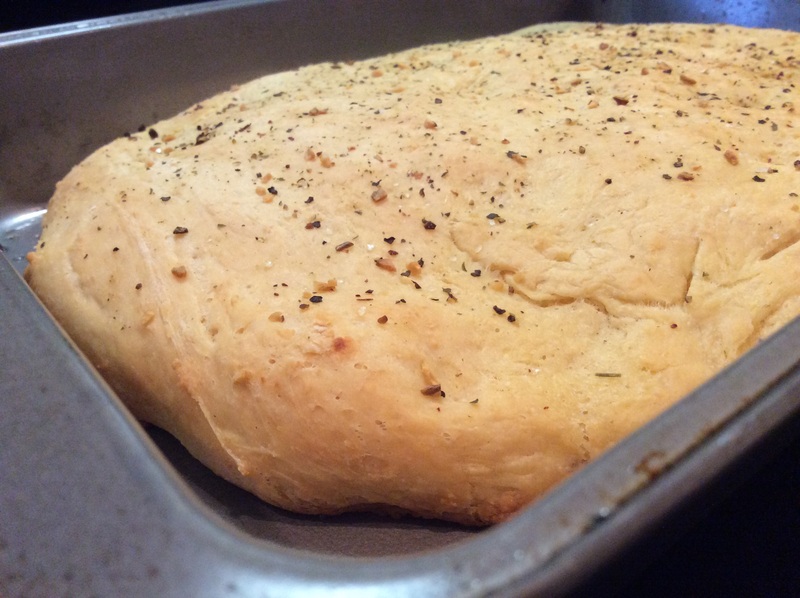 Gently poke the dough with your fingertip. Drizzle it with the remaining oil, sprinkle with dried herbs and bake until its golden brown-25 to 30 minutes. Remove it from the oven, allow it to rest for 5 minutes then turn it out onto a cooling rack. Eat some right away with olive oil and fresh herbs.